In this post, we’re taking a closer look at artificial intelligence, one of the retail trends that’s highlighted in our latest publication, Top 5 Trends for 2019 Retail Analytics. Technology integration remains a top trend for retailers in 2019, and for many, that means deploying artificial intelligence (AI) applications. From start-ups to big box operations, AI is changing what’s possible by helping retailers discover actionable insights in data sets that span everything from inventory to customer sentiment. Innovative retailers are relying on AI applications to gain a deeper, data-driven understanding of the business, that in turn informs better decision-making. Using AI and machine learning-enabled data analysis, retailers are able to champion innovation in key focus areas, including marketing strategy, customer service, and operations. Insights from AI are also creating competitive advantage for retailers who are focused on improving efficiency and profitability. In fact, Business Insider predicts that AI will boost profitability in retail and wholesale by nearly 60% by 2035. As a retailer, you need the right information at the right time to make accurate forecasts and anticipate what’s next—and in a world of big data, it’s complicated. Knowing how to use your data effectively is a daunting challenge. But to give your customers the seamless, omni-channel experience that they expect, it’s essential. Using machine learning algorithms, you can produce valuable predictive analyses that deliver on your brand promise—and your customer’s expectations. According to Jen Underwood, senior director at DataRobot, "AI is an enabler. The bottom line impact of using high quality predictive models is astounding. At DataRobot, we helped a retail customer in Asia improve inventory forecast accuracy by 9.5%. That lift in predictive model performance and optimizing operations led to an estimated $400 million increase in profit in less than 3 months." Retailers need to understand the variables that impact inventory accuracy. There’s a lot at stake: overstocks and out-of-stocks account for $1.1 trillion in costs and loss of profitability to retailers, annually. 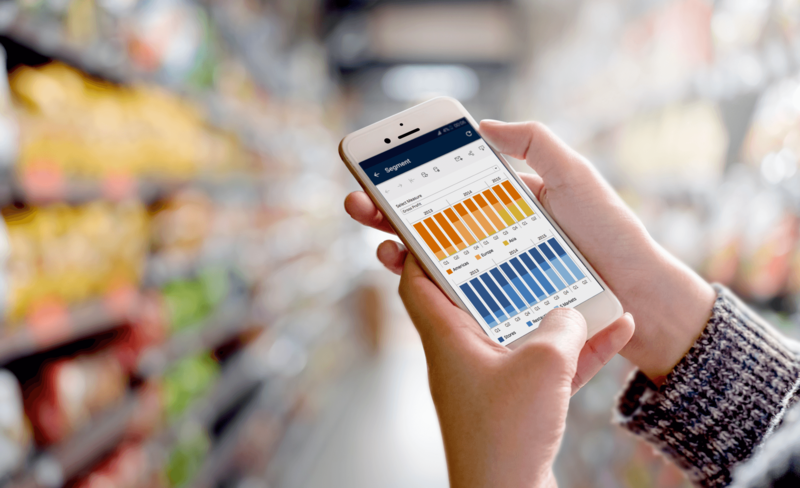 AI and machine learning algorithms can help retailers forecast inventory more accurately—using data including sales history, location, weather, promotions, and trends. And robotics powered by AI will traverse up and down aisles, helping to get the average inventory accuracy from 60% to the 90% range. Machine learning helps retailers find patterns by utilizing hundreds or thousands of variables, giving them contextual, actionable information to improve inventory management decision-making. By identifying gaps, anticipating demand, avoiding out-of-stock situations, and minimizing returns, retailers can optimize their inventories, and reduce the very real financial risks associated with excess stock buildups and underperforming products. How do you land on a pricing strategy? What if you could minimize the margin for error when it comes to promotional pricing? Retailers who use AI and machine learning know that analyzing the right variables—including product type, consumer segment, discount amount, price elasticity, and competitor metrics—can produce comprehensive, predictive models to reveal the potential ROI of different pricing strategies. AI technologies also make it possible to implement dynamic pricing, using any number of desired criteria, from rewarding customers for brand loyalty, to adjusting pricing based on surges in demand or supply. It’s an understatement to say that today’s consumers expect a lot. To create and reinforce loyalty, retailers need to fulfil lofty expectations by creating customer experiences that are targeted and timely. And in order achieve this level of intimacy with each customer, retailers need data. With better information, enabled by AI, retailers can create personalized experiences both online and in-store—and with NRF reporting that 79% of consumers make at least half of their purchases in-store, successful brick and mortar retailers are eager to exploit AI tools to improve the in-store experience. Online mega-retailer Amazon attributes 55% of its sales to its recommendation engine, which aggregates variables such as prior purchases, purchases made by people with similar interests, purchasing frequency, and more. Other AI-enabled technologies savvy internet retailers are using to drive engagement and sales include curated social media feeds, chatbots, visual image search, and more. In-store innovations include smart shelves that display detailed product information, multi-lingual robots that guide shoppers, and virtual fitting kiosks to ‘try on’ clothes. There is no one-size-fits-all solution for technology integration, but for retailers, the future is clear: artificial intelligence is no seasonal trend. The benefits of aggregating your large data stores and employing powerful algorithms to surface insights about your operations, your customers, and your marketing strategies are simply too compelling to ignore. By starting with projects that are clearly tied to profitability and building from there, you’ll create a solid foundation that will allow you to scale your AI initiatives—and achieve broader buy-in—as you continue your digital transformation. We’re continually exchanging information with our customers and partners throughout the year, and based on these conversations, we’ve identified five analytics trends we think should be top-of-mind for every retailer. Download Top 5 Trends for 2019 Retail Analytics to learn more.